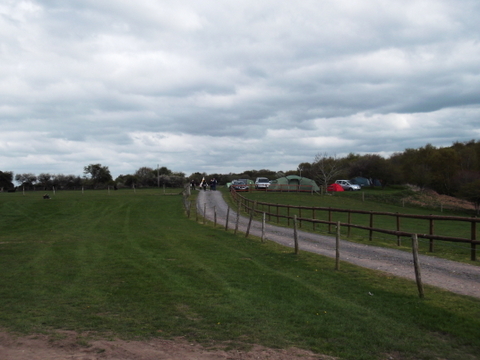 Campsite Review: Longthorns Farm, Wareham, Dorset. 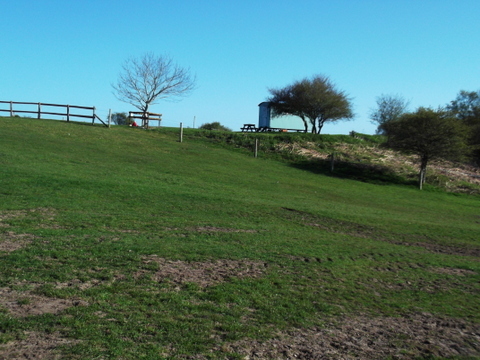 Where: Longthorns Farm, Wareham, Dorset, BH20 6HH. 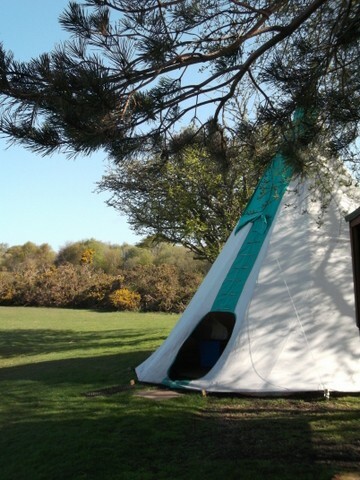 How much: Varies by size of tent, we paid £16 per night for campervan with awning + £2.50 per child. Fires: In braziers for hire, £20 for stay including a bags of logs. 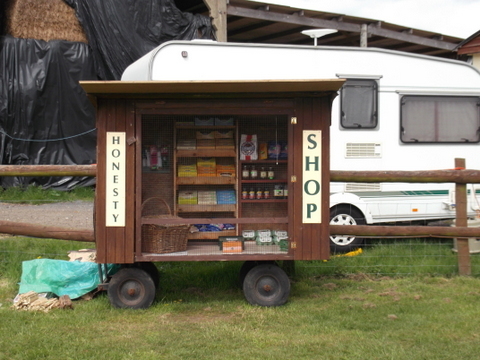 Firewood: See above, also available to buy separately from honesty shop. Types of Camping: Mixed. 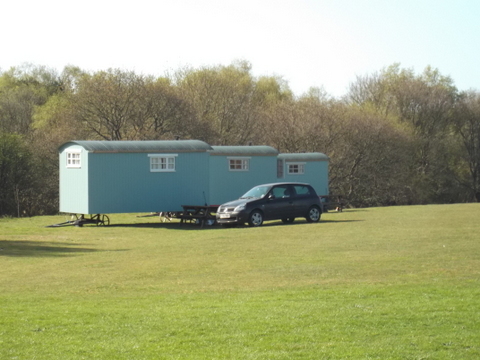 Caravans mostly in a separate field with EHU. 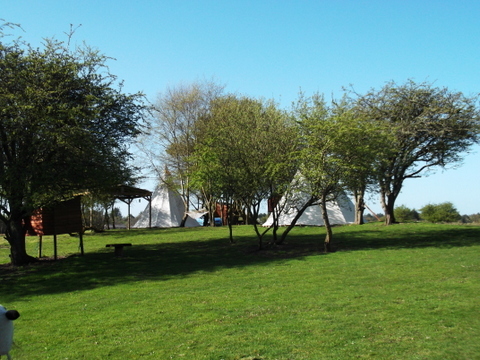 Also very lovely tipi area and several shepherd’s huts. The review: This site has a lot going for it. 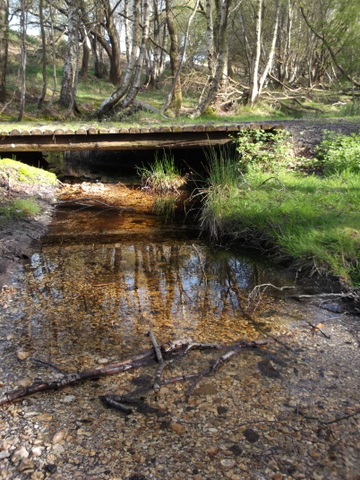 A variety of camping fields interspersed with fields of alpacas, horses and sheep, A small but pretty woodland with a pretty stream running through it, also featuring a couple of bridges that any troll worth his salt would be proud of. 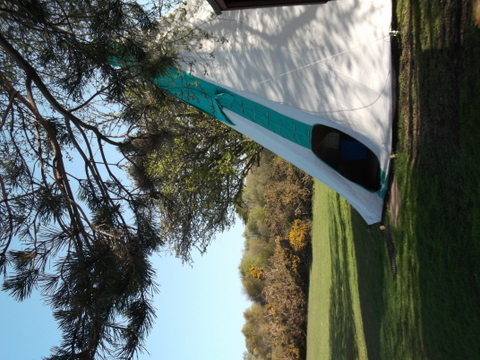 Adding further interest you will see a number of picturesque shepherds huts (available for hire) and a lovely tipi area. Perhaps the most exciting element is the adjacent glider airfield. Sit back and watch the gliders soar overhead and steady your nerves as they swoop overhead to land in the airfield. 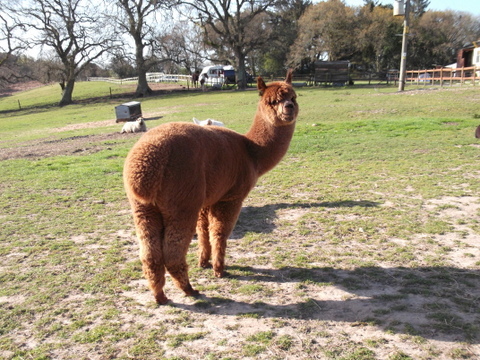 If you prefer your excitement closer to the ground have mooch around near the animal fields as the horses prance and the alpacas munch until feeding time. We enjoyed all these things but possibly had the most fun charging around after a football in the space around our camp. Lovely! 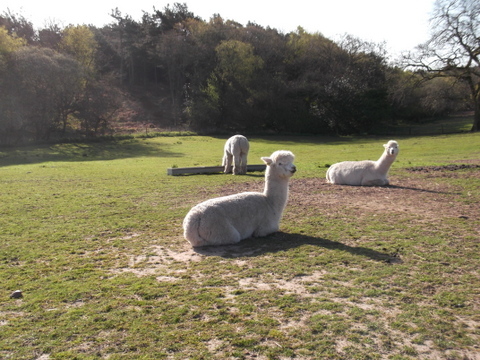 I love this area of the UK, Wareham itself is a pretty market town of a decent enough size to find most things you may need, but even more picturesque is nearby Lulworth Cove and Durdle Door. 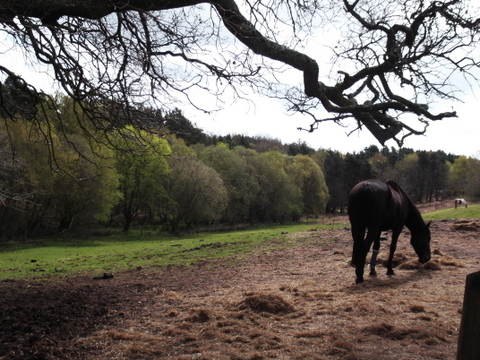 We went on a sunny, spring day. 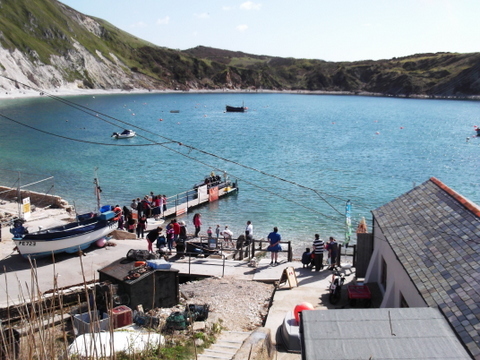 As the campsite is so close we were able to arrive before the crowds; I was unexpectedly blown away by Lulworth Cove. It is so perfect in shape, plus the dazzling whiteness of the chalk that lines and surrounds it, it felt almost unreal. Also not far away is Studland Beach, lovely for a swim with nature reserves to one end and views towards Brownsea Island. 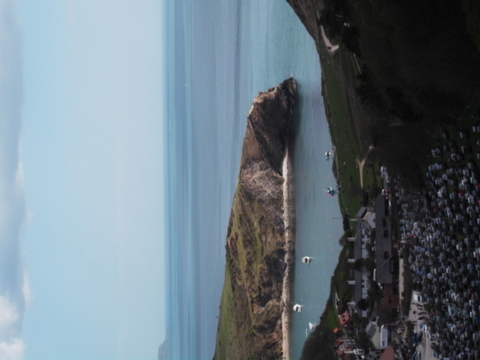 The traditional seaside town of Swanage can be busy but has lots of different eating establishments and lovely views over the sea. 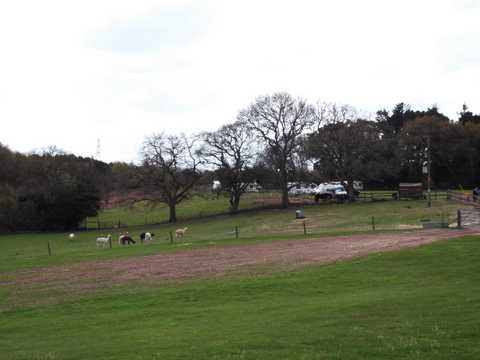 The final feature I will mention is the campsite’s next door neighbour. Monkey World. As a friend of mine said ‘like a zoo but with the boring bits taken out’. Of course ‘Monkey World’ is actually a sanctuary for monkeys, apes and prosimians so none of the less savoury zoo connotations. But, it is true the monkeys are the most interesting, the crazy show off gibbons are just fantastic. (In fact I could even be a sold a ticket to ‘Gibbon World’ I reckon! )I’m not usually a fan of this sort of family entertainment, I prefer to make it myself and get it for free but the kids were so convinced we would say ‘no’, I couldn’t resist just driving in without telling them and watching their faces. Classic.